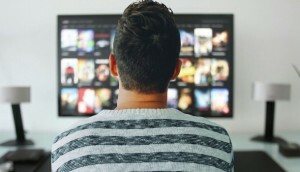 eOne CEO Darren Throop: "I am also pleased to report that Peppa Pig's international success continues and am excited about the licensing and merchandising roll out in the US later this year." As it speeds up the roll out of its Peppa Pig TV franchise in Asia and Latin America, Entertainment One has recruited Scholastic and Candlewick Press as U.S. publishing partners for its popular kids TV property on Nick Jr.
“I am also pleased to report that Peppa Pig‘s international success continues and am excited about the licensing and merchandising roll out in the U.S. later this year,” Entertainment One CEO Darren Throop said when releasing the company’s latest results last week. 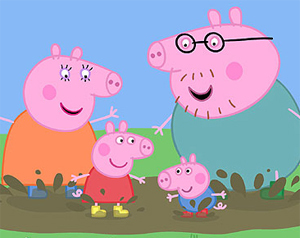 Gearing up for the U.S. push, the Entertainment One Family division has Scholastic launching its Peppa Pig publishing program with the picture book, The Story of Peppa Pig. The launch plans include the Class Trip paperback and Peppa Pig: Fun with Friends, a sticker storybook. For its part, Candlewick Press is producing a range of hardcover and novelty Peppa Pig books, including Peppa Pig and the Lost Christmas List and Peppa Pig and the Missing Muddy Puddle titles. Fisher-Price was earlier recruited to bring to help bring to market a Peppa Pig toy line.